Thanks to aspirational TV shows like the new Grand Designs show, ‘The Street’, which focuses on self-builds – it’s no surprise that 7 million Brits are currently researching the process of building their own homes. The government are also aware of the positive effect this can have on solving the current housing crisis and have begun introducing more incentives to influence potential self-builders. But have you ever stopped to consider what the nation’s growing interest in this project will mean for the UK’s construction sector? Or whether self-build is something you could afford? To help make the self-build process easier, Insulation Express have uncovered the biggest opportunities in the UK for potential self-build plots. Self-build projects can be an expensive venture and one of the biggest challenges for aspirational homeowners – so it’s important to be in tune with your budget. 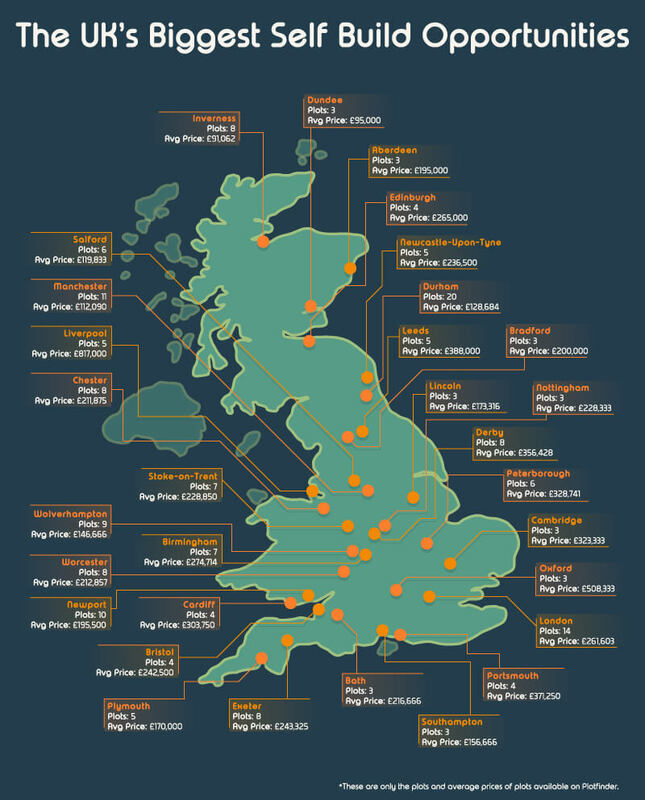 The first step of planning a self-build is to find out the average price of a plot within your chosen location. If you live in Inverness and plan on constructing a self-build – congratulations, as you live in the cheapest city for buying a plot of land. The average price is £91,062. Following closely behind is Dundee with the average piece of land costing £95,000. It’s bad news if you live in Liverpool – the average price of a plot will set you back £817,000 and that’s before you’ve built your house. It’s also seven times more expensive than Manchester (£91,062) which is just a short train ride away from Liverpool, and therefore within commuting distance. 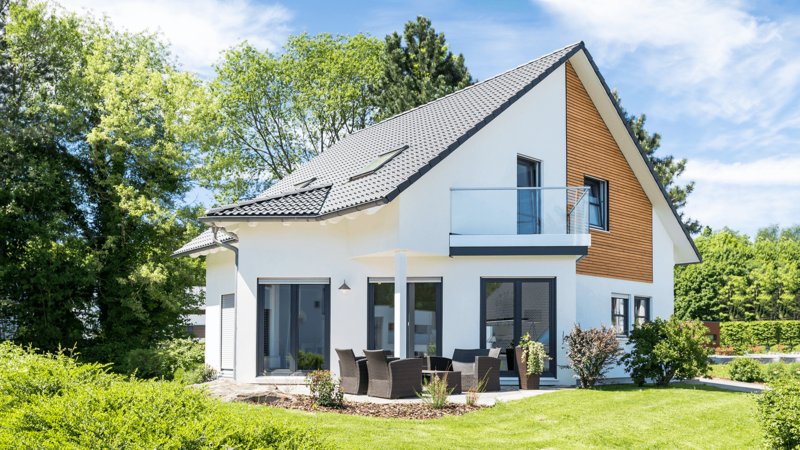 If price isn’t a problem when it comes to planning your dream self-build but instead you’re focused on location, then Insulation Express have uncovered the UK’s biggest self-build opportunities. Recently introduced, this new incentive helps small builders and housing developments obtain land through local authorities. The government have also recently introduced the £3 billion ‘Home Building Fund’ which will provide short-term loans for small and medium-sized enterprises (SME), custom-builders and innovators to deliver up to 25,000 homes. This incentive allows local authorities to make plots available for self-builders. With this new legalisation, the government are hoping to increase the number of self and custom-build homes in the UK by 35% a year (13,000 to 20,000). To make things easier on the wallet, government schemes have meant that self-builders can save thousands on the price of Reduced Stamp Duty. For example, did you know that you only have to pay stamp duty on the cost of the land itself if it this passes £300,000 for first-time buyers. Or if this isn’t your first time home, the threshold is £125,000 and above. Another incentive is the extra profit that comes with selling your self-build. One major driver to the increase in self-build homes is the rising house prices across the UK, which means homeowners can fund their self-build project from revenues in a house sale. But, the increased cost of houses has also meant people are looking to self-build as there’s a sense of ‘getting more for your money’, and on average self-builders gain 29% in the value of their completed home. So, are you ready to make the move and start your own self-build?